To mark the publication of a new book by Dr Christian Jarrett, editor of the Society's Research Digest and former journalist on The Psychologist, we review the book, publish an exclusive extract and link to his past highlights. 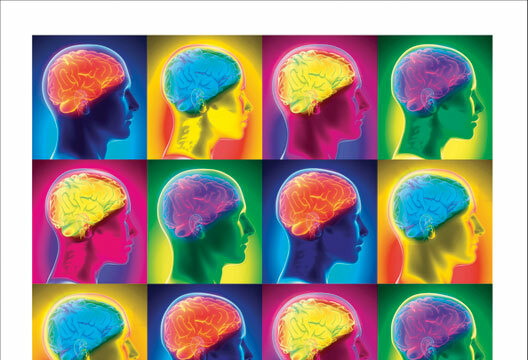 Since the early 2000s, neuroscience has enjoyed ever-increasing acceptance by the mainstream. We can’t seem to go a single week without news of some study or new project that has uncovered or promises to uncover something exciting about the inner workings of the brain. But the downside of this omnipresence of neuroscience is that the concepts and terminology it uses are constantly being co-opted. Pseudoscientists, self-help gurus, scaremongering columnists or basically anyone with a product or agenda to promote can be relied upon to invoke brain plasticity or add ‘neruo-’ to words to make them sound more credible. Because of this, Christian Jarrett’s Great Myths of the Brain seems not only a timely book, but actually a necessary one. 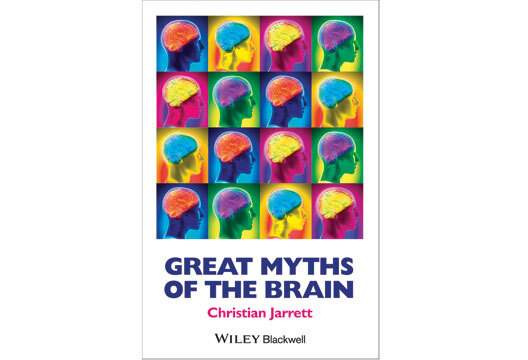 Jarrett has attempted to catalogue and categorise all the well-known and not-so-well-known myths about the human brain from past and present, and explain why each one is wrong (or at least inaccurate) using actual neuroscientific knowledge. Despite the mammoth nature of such a task, he succeeds quite admirably. The book is also very impressive in its scope, covering things like the historical notion that the heart was actually the source of consciousness, to modern-day problems like how fMRI scans are believed to be far more powerful than they actually are. The writing is often very clear but without compromising accuracy or thoroughness, which is an impressive feat in its own right. But there are some issues with Great Myths…, which is perhaps to be expected when you consider all that it’s trying to achieve. Jarrett’s writing style means he comes across as something akin to an earnest but friendly lecturer, which suits the content well but could prove a bit off-putting to more scientifically experienced readers. But on the other hand, there are several instances where the content gets more technical than the lay person could realistically keep up with, so it’s difficult to say what sort of reader Great Myths… is actually aimed at. Jarrett also makes a noble effort to group specific myths into relevant sections, but there is some inconsistency with how each section is presented. It makes sense in context, but can be a bit jarring. Jarrett also repeatedly makes the point that our understanding of the brain is nowhere near as clear-cut as many seem to think, but by labelling things ‘myths’ it suggests we know they’re total fiction, which undermines this point somewhat. Also, alongside notorious fallacies like ‘we only use 10% of our brain’ are less familiar things, like how language processing was believed to be distributed throughout the brain. It would be a cruel irony if people ended up learning new brain myths from this book dedicated to combating such things. But these issues are relatively minor. All in all, Great Myths of the Brain is such a relevant and necessary book that provides such a valuable function in modern times, it should be recommended even if it was dreadfully written. Luckily, it isn’t. It’s actually rather good. - Reviewed by Dean Burnett, who is a doctor of neuroscience, but moonlights as a comedian and blogger. He tutors and lectures at Cardiff University. The extract – Do we only use 10 per cent of our brains? Some myths run out of steam, go out of fashion, or exist only on the fringes of popular belief. Others show remarkable zombie-like endurance, managing to march on through mounting contradictory evidence. It’s these stubborn and popular beliefs that are often picked up by self-appointed gurus or evangelists looking to bolster their quack courses or misguided campaigns. The staying power of some of these classic myths is also helped along by their seductive appeal – they extol facts that would be great news if only they were true. One such myth surrounds the idea that we only use ten per cent of our brains. For many years, there has been an immortal idea that most of us get by using just a small fraction of our brains, leaving the bulk of our cerebral potential massively untapped. The supposed amount of gray matter that we squander has gone up and down over the decades, but 90 per cent is the most popular claim and it’s easy to see the appeal. Who wouldn’t want to believe that they have vast reserves of latent brain power just waiting to be unlocked? “You know how they say that we can only access twenty percent of our brains,” says a character in the 2011 hit movie Limitless “this [pill] lets you access all of it.” With the help of the magic drug, the film’s protagonist writes his overdue novel in days, picks up foreign languages overnight and makes millions on the stock market. Similarly, in 2014, came Lucy, starring Scarlett Johansson as a woman injected with a powerful drug. “The average person uses 10% of their brain capacity,” says the movie poster, “imagine what she could do with 100%” - a lot apparently, including mastering all knowledge and hurling cars with her mind. “I’m not sure that mankind is ready for it,” says the film’s fictional neuroscientist, Morgan Freeman. According to Christopher Wanjek, author of a book about misconceptions in medicine, the use of the myth in advertising dates back as far as 1944 with claims by the Pelman Institute, the London-based purveyors of self-improvement correspondence courses. “What’s holding you back?” their newspaper advert said, “Just one fact – one scientific fact … Because as Science says, you are only using one-tenth of your real brain-power!” Modern surveys show the continuing prevalence of people’s belief in the 10 percent myth, including among those meant to be imparting their wisdom to the next generation. For a survey published in 2012, Sanne Dekker and her colleagues quizzed 137 primary and secondary school teachers in England and 105 from the Netherlands. Forty-eight percent of the English sample believed wrongly that we use just 10 percent of our brains (26 percent said they didn’t know) and 46 percent of the Dutch sample believed the myth, with 12 percent saying they didn’t know. Belief in the myth can be found right across the world. In 2002, Suzana Herculano-Houzel of the Museum of Life in Rio de Janeiro conducted a survey of over 2000 members of the public and, focusing on just those with a college-education, found that 59 percent believed that we use only 10 percent of our brains. Somewhat worryingly, a comparison sample of 35 international neuroscientists showed that 6 percent of them also thought the 10 percent myth was true! So where does it come from, this idea that we have vast swathes of gray matter lying dormant? When the late psychologist and myth-buster Barry Beyerstein attempted to hunt down the source of the myth he found multiple culpable candidates. He also discovered many of these leads were based on misinformation and misquotes. Early in the twentieth century, pioneering psychologist William James wrote and spoke about the idea that people have “latent mental energy,” although he didn’t put a precise figure on it. Note that James’s point was about energy and potential, not how much of our brains we use. This confusion likely helps explain the longevity of the myth – it can mean different things to different people, and the claim that we have untapped potential is far less contentious than the specific idea that we only use a small fraction of our brains. Unfortunately, the first claim easily morphs into the second. The journalist Lowell Thomas aided this process in his preface to Dale Carnegie’s mega-selling 1936 self-help book How to Win Friends and Influence People, where he attached the precise 10 percent figure to James’s point about potential, writing: “Professor William James of Harvard used to say that the average person develops only 10 percent of his latent mental ability.” In doing this Thomas exposed millions of readers to an early version of this myth. Another possible source is a quote attributed to Albert Einstein. He supposedly explained to a reporter that the secret to his genius was that he used the full capacity of his brain, rather than the mere 10 percent that the rest of us use. However, when Beyerstein called on the experts at the Albert Einstein Archives to find this quote, they were unable to locate it, so this is probably yet another apocryphal story. Also fueling the 10 percent myth are misinterpretations of neuroscience research. For example, in the 1930s Canadian neurosurgeon Wilder Penfield found that he could provoke various sensations in epilepsy patients by directly stimulating the surface of their brains (the opportunity to do this arose during surgery to help alleviate their seizures). Crucially, Penfield also found that zapping some areas had no effect, leading to the notion that there are large areas of “silent cortex.” Today these regions of issue are known as “association cortex” and they are involved in our most sophisticated mental functions. Ill founded medical claims in the last century that lobotomy patients were cured without ill effects further indulged this idea that large chunks of the brain are functionally useless. There’s also the common-place but mistaken estimate that neurons are outnumbered by glial cells by ten to one, which could be misinterpreted as meaning that just 10 percent of all our brain cells are involved in mental functions. Finally, there are case reports, such as of patients with hydrocephalus, who have smaller than normal brains but appear to function without any difficulty. And there are numerous accounts of people surviving bullet wounds to the head, or other cerebral injuries, sometimes with little obvious impairment (in fact, serious brain injury always has long-lasting consequences). The apparent implication of such cases was stated most provocatively in a 1980 paper in Science “Is your brain really necessary?” in which the late British neurologist John Lorber is quoted describing a student at his university with hydrocephalus “who has an IQ of 126, has gained a first-class honors degree in mathematics, and is socially completely normal. And yet the boy has virtually no brain.” A UK television documentary with the same title aired in 1991 and featured Lorber making the same claims based on several of his patients. According to Beyerstein, Lorber was known at the time for making controversial pronouncements, and it’s likely the cases were exaggerated for dramatic effect. The scans used in the documentary don’t allow one to distinguish between compression of cortex and actual loss of brain cells. Beyerstein’s view was that it’s untrue that the documented cases had “virtually no brain” above brainstem, although their cortex was clearly deformed. How much of our brains do we really use? The truth is that we use all of them: there is no spare neural matter lying around waiting to be given a job to do. This has been confirmed by thousands of brain scans, in which waves of activity can be seen coursing through the entire brain, even when participants are asked to think of nothing. In fact, there’s an entire network of areas – dubbed the “default mode network” – that becomes more active when people do their best to disengage from the outside world. Other evidence that refutes the 10 percent myth comes from studies of brain-damaged patients for whom even the smallest lesion can have devastating consequences. Over time, it’s true the brain does have a remarkable capacity to adapt to damage. In fact it’s this plasticity that explains the hydrocephalus cases reported by Lorber in his documentary and in the journal Science. Slowly developing conditions like hydrocephalus allow the brain to find new ways to function. But just because the brain can find ways to work around lost neurons doesn’t mean that those neurons weren’t doing something in the first place. In fact, if any neurons do end up out of work – for example, say the limb that they received sensory signals from is lost – what happens is that hungry neighboring brain systems will invade and hijack that redundant brain matter. This can give rise to the strange situation where touching an amputee on their face triggers sensations in their missing “phantom” limb – precisely because the face neurons have hijacked the gray matter that used to represent the limb. The idea that we use only a small fraction of our brains also makes no sense from an evolutionary point of view. The brain is a notorious gas guzzler, accounting for 20 percent of our energy consumption even though it only makes up two percent of our body mass. Evolution by natural selection tends to weed out the inefficient so it’s implausible that we would have such a costly organ that’s mostly redundant. Imagine a company in which most of the staff sat around doing nothing – they’d be fired. It’s the same with our brain cells. Do we have huge potential to learn new skills and recover from injury? Definitely. Do we only use 10 percent of our brains? No way. - Dr Christian Jarrett is editor of the British Psychological Society's Research Digest, and a freelance writer. Between 2005 and 2014 he was also The Psychologist's journalist, contributing numerous features.